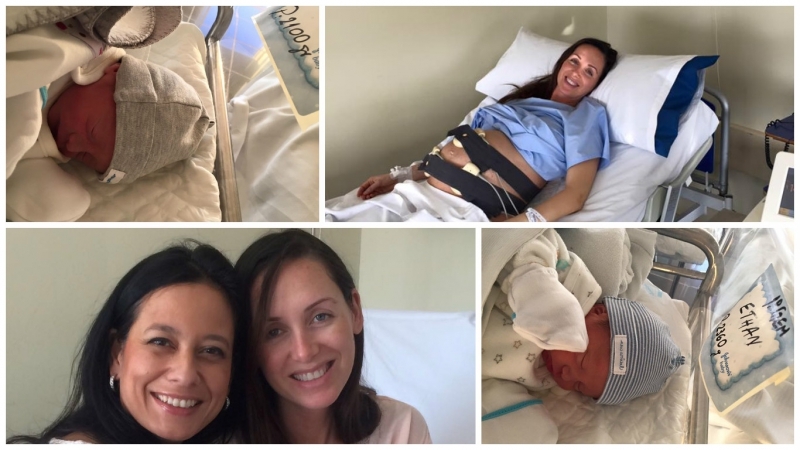 Marbella celebrities Dennis and Lorena Ribeiro got twins! The initial due date was March 16, 2016, but as twins usually never go all the way to 40 weeks, they came end of February. "Ethan -- 25/02/2016 -- 1st twin -- 2,360 kg -- "I look like mommy"
Gabriel -- 25/02/2016 -- 2nd twin -- 2,100 kg -- "I look like pappy"
Just a month ago, i-Marbella posted an interview with Lorena about her motherhood expectations. Click HERE for the interview! Dennis Moens (now known as Dennis Ribeiro) is nothing but a scammer. He stole millions from investors and should be locked up for a very long time. I feel sorry for their kids.